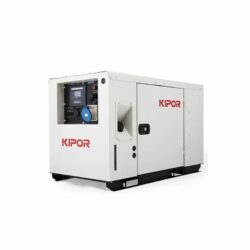 The Kipor IG3000P petrol generator is built using Kipor's latest technology and features a sleek design. The machine is equipped with a patented cooling air intake system and smart throttle feature to keep the generator running quietly and efficiently. If you're in need of a quality portable generator, the IG3000P is a great option. 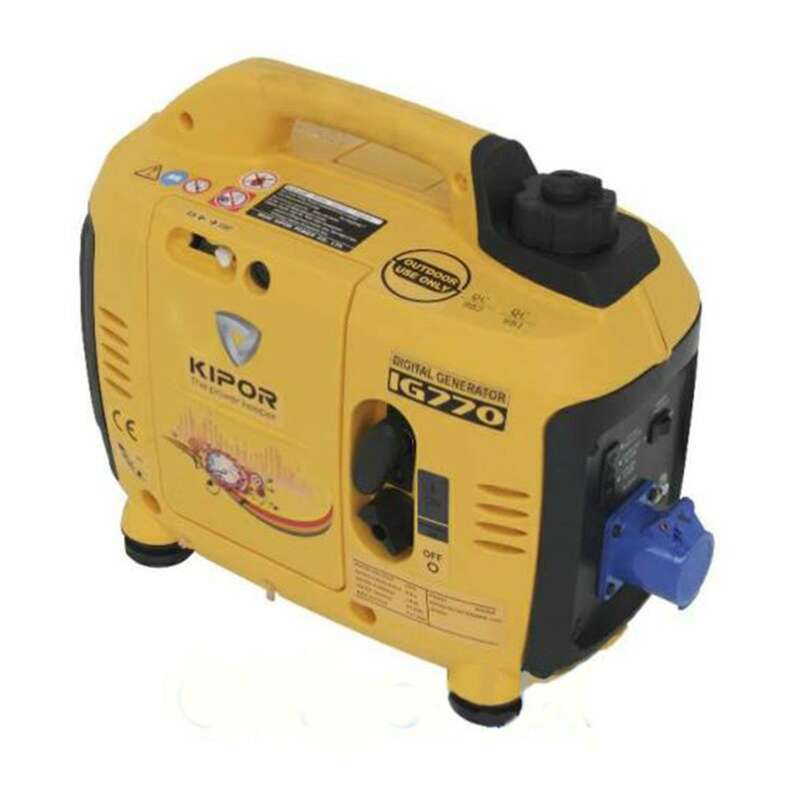 The portable Kipor IG3000P digital generator utilises Kipor’s state of the art design and technology to bring you some of the most sophisticated power on the market. The alternator of the IG3000P is directly connected to the engine which reduces the weight of the machine by 50%. The patented cooling air intake system and smart throttle power management feature work together in order to keep the generator running smoothly and the inverter technology produces pure sine waves to safely power your sensitive equipment. With a maximum output of 3kVa and a low operation noise of 63-73 dB(A) from seven meters, the IG3000P can run continuously for up to 6.7 hours on a single tank of fuel. The durable construction and industrial strength carrying handles top off the design to make this generator a quality investment. 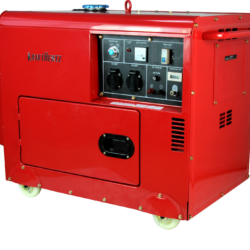 The Kipor ID10 diesel digital generator is a dependable machine that provides a maximum power of 11 kVA. Powerful, compact, and quiet, the ID10 self-monitors a plethora of essential operating vitals including low oil pressure, high water temperature, over voltage, low voltage, overload, short circuit, and battery connection. 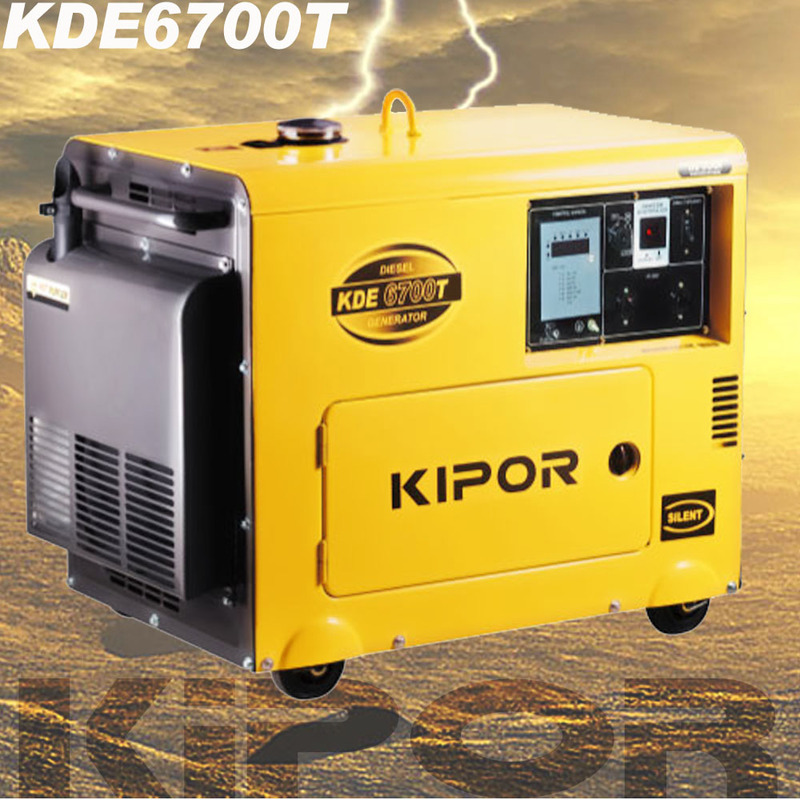 The Kipor KDE 6700T generates a maximum output of 5.0 kVA and features a new AVR that stabilises all of the energy output. The KDE 6700T is equipped with ATS capabilities enabling it to be connected directly to your ATS and take over in the case of a power outage. Read more about the KDE6700T in the description.